Trout do not care if their food rises up from the stream or lake bottom to hatch, or if it falls in from above, they pay close attention to the surface and this makes these patterns an important food source. 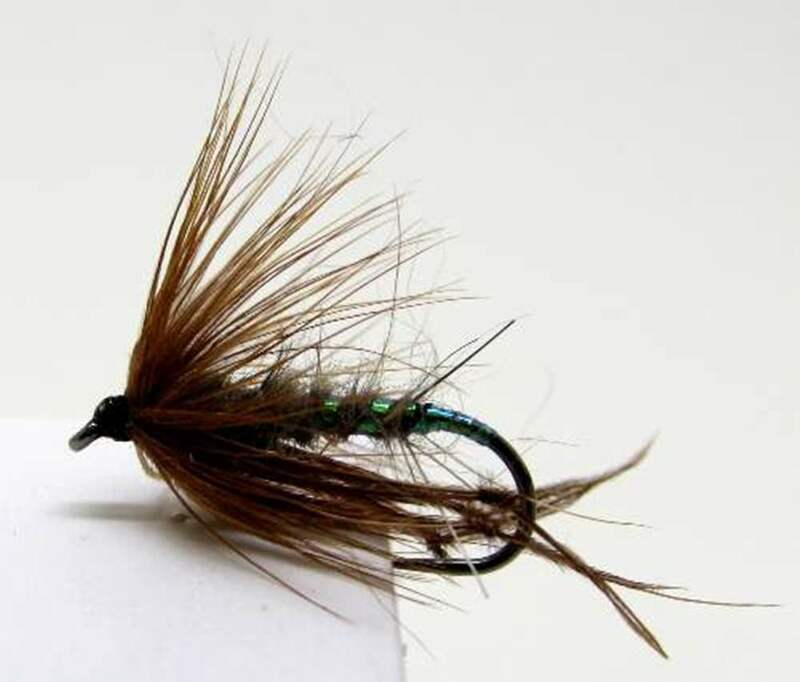 Trout anglers should always remember flies that imitate terrestrial insects as like hoppers can make up large portions of trouts diet at certain times of the year- especially in late summer and early autum. Grasshoppers survive well after the first frosts, although they are less vigorous, and hence more vulnerable. Hoppers will continue to catch fish in most places well into October. Bristol Hopper flies imitate the grasshoppers hence the name Hoppers. At certain time of year grasshoppers become abundant a wind will blow these wonderful fish snacks onto the waters. A delicate presentation is not critical, because even big selective trout are looking for the tell-tale splat of this helpless terrestrial as it flops into their eating zone, this we imitate with hopper flies. 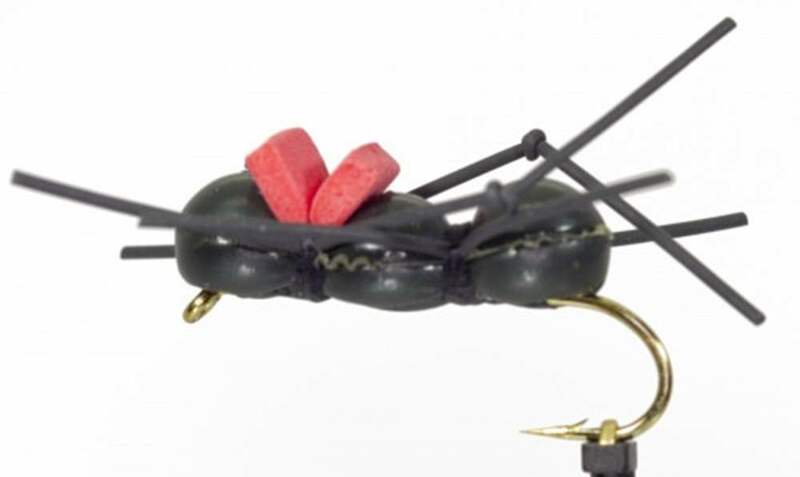 As terrestrial fly patterns are big flies and you can use short leaders that are easy to cast. Even if a hopper has been chewed on a few times, the fish don't seem to mind. Grasshoppers can swim by kicking their hind legs in unison, using the same method as they employ when jumping. This can be mimicked by fishing the fly on the surface and retrieving it with short sharp pulls. 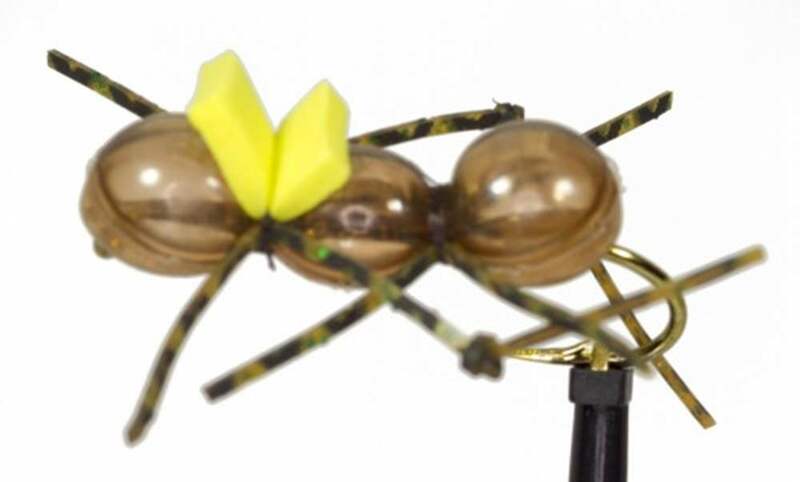 Continue for about three feet and then let your fly drift for 20 seconds before recommencing a retrieve as this imitates the grasshopper having a rest. Grasshoppers or hoppers generally hatch from eggs in June and July and are full grown by mid-August. The adults continue to feed until the first frost. The best trout hopper fishing occurs in August and early September. They like hot weather, and you will find your best hopper fishing on hot windy afternoons. The only downside with hopper patterns is that they don't work all year round!